This gap refers to the lag in time between you paying for goods or services and you receiving payment from your customers who purchased those same goods or services from you. For example, if Jill at XYZ Company purchases 10 rolls of carpet from a supplier for a job, the cash gap will occur between Jill paying the supplier for the carpet and the supplier reimbursing the carpet producer for the product and installation service. The length of your cash gap can vary widely based on the type of business or industry you’re in, but the goal is always to close the gap or keep it as short as possible. Shortening this gap has many benefits, including having greater available cash flow, a better chance of collecting payment if less time has gone by, and reduced need to rely on outside sources to collect payment. 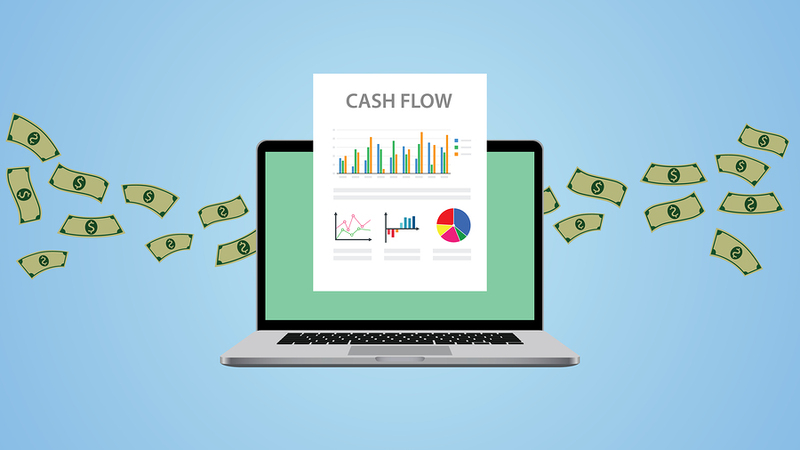 Ideally, your business will have an inflow of cash occurring at the same time as your outflow but, realistically, the outflow usually occurs before you receive payment. However, there are ways to manage this cash flow gap and strategies to close the gap as much as possible. Incentivize quicker payment. If you can get your customers to pay their bills in a timelier fashion, your cash flow gap will automatically shorten. One way to do this is to offer incentives such as small percentages off customers’ total bills or discounts on future purchases if they pay sooner. Allowing customers to pay over the phone with credit cards can also help avoid mail lag time and make the process easier for your clients. Send invoices directly. Don’t add additional days to your cash gap by delaying your invoicing process. Send your invoices immediately after you sell goods or complete services. You allow for immediate payment by getting your invoices to your customers sooner. Reduce collections time. If you’ve already made payment methods easier but are still experiencing a cash flow gap, consider making your collections time stricter. This will force company accountants to pay more quickly, reducing your gap. Limit inventory. When possible, keep minimal inventory on your shelves. Extra stock lying around is often part of the reason business accounts are strapped for cash. Limiting inventory can be tricky because it requires striking a perfect balance between production and distribution, but taking the time to thoroughly analyze the proper amount of inventory to have on hand at any time can keep you from having a big gap period while waiting for your next job or order. Purchase only quick-moving inventory. Take a long look at your order history and the stock inventory that has consistently moved quickly. Refrain from selling or stocking items that take longer to move so you’re not caught in a gap waiting for items to leave your shelves. Negotiate with vendors. Negotiate for longer payment terms, lower interest rates, and bulk-order purchase deals so you can lower the amount of money held up in the cash flow gap as much as possible. Regardless of their best efforts, many business owners have fallen into the cash flow gap, affecting their ability to do business. If you need help understanding your cash gap and how to manage it, call the professionals at your local commercial credit bureau. We can help you close the gap and better manage your cash flow. We are always available to answer any credit questions or assist with a collection. Please call us at 303-806-5300, fax us at 303-806-5360, or send a request through our website. 1 Kearns, Suzanne. 2016. “Expert Advice: How to Identify and Close Your Cash Flow Gap.” Intuit. Accessed October 13. Source. This entry was posted on Wednesday, November 2nd, 2016 at 1:36 pm	and is filed under Cash Flow. You can follow any responses to this entry through the RSS 2.0 feed. Both comments and pings are currently closed.